Made from a thin synthetic material fused onto a thin plastic layer. These ultra-slick slipmats are the result of Serato teaming up with the legendary Thud Rumble (DJ Q-Bert). Living up to their name, Butter Rugs are as buttery as it gets, delivering the perfect combination of reduced friction, with the ideal amount of resistance that's perfect for scratching, juggling and mixing. 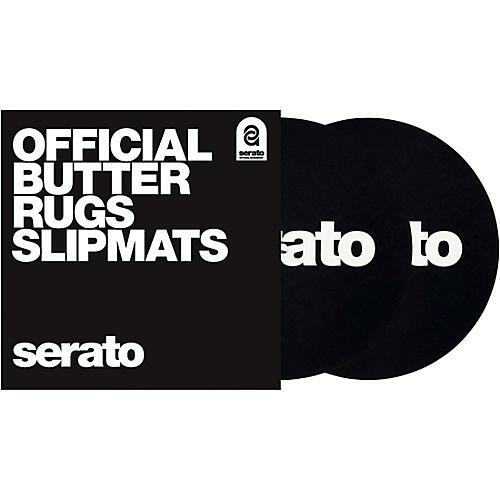 Instead of opting for the standard felt mat, Serato Butter Rugs consist of a thin synthetic material fused onto a thin plastic layer. The result is a sublime turntablism experience. Forget about the wax paper—order today and butter up your decks properly.